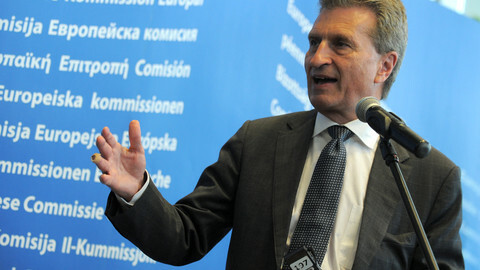 Guenther Oettinger is known for his public statements being more in line with the German government than the EU commission. 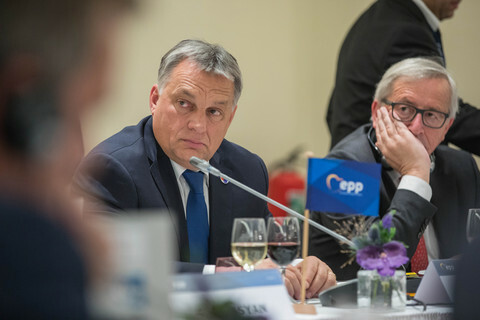 But his latest comments on Greece made Friday (20 February) in an interview with German radio Deutschlandfunk crossed the rubicon, forcing his boss Jean-Claude Juncker to publicly distance himself from him. "Mr Oettinger voiced his private opinion, this has not been agreed with the commissioners concerned, nor with President Juncker," Juncker's spokesman Margaritis Schinas said in a press conference on Friday. 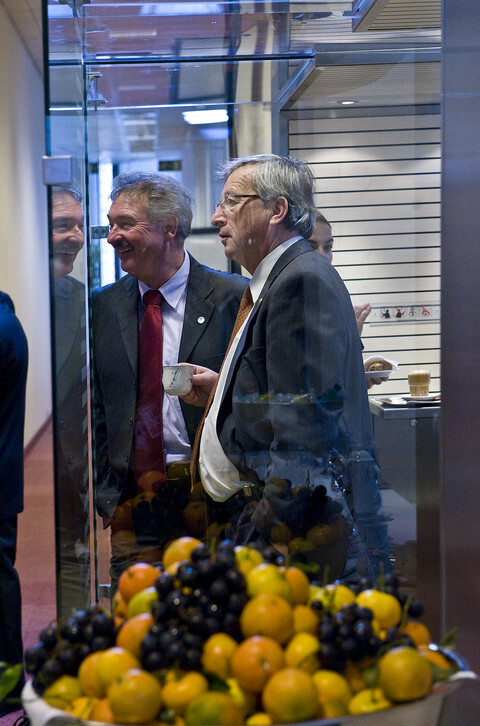 It is the first time Juncker has taken such an open stance against one of his commissioners. Earlier in the day, Oettinger told Deutschlandfunk that the Greek politicians behaved "like elephants in a china shop", that their bailout request may be just a "diversion" and that he completely shared the view of the German finance minister, who had flat out rejected their bailout extension request saying it lacked commitments on reforms. But Juncker on Thursday - through his spokesman - had said the request was "a positive sign" after having spent days phoning Athens, as well as Berlin and the Hague in order to broker a deal. 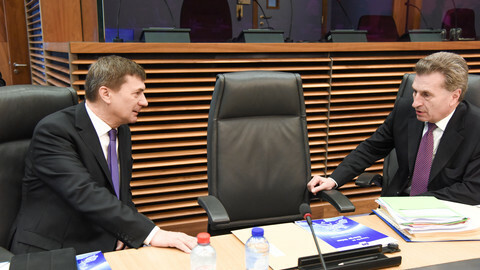 Schinas on Friday said Juncker continues to be involved and that it was his two economics commissioners - Valdis Dombrovskis and Pierre Moscovici - who will represent him at a meeting of eurozone finance ministers in Brussels the same day, a last-ditch attempt to come to an agreement. 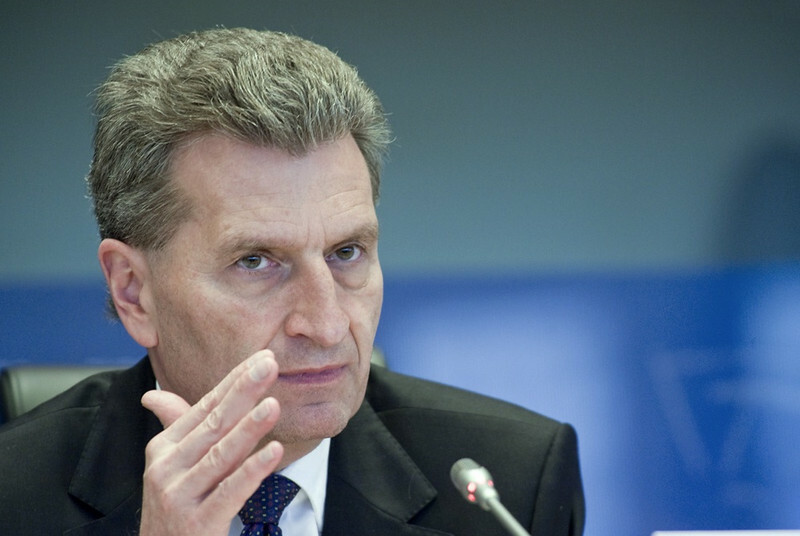 "Even by Oettinger's standards, he's gone way farther this time than ever before. Perhaps he is preparing to leave and doesn't care anymore," one EU official told this website. It is not the first time the German commissioner - who is in charge of the bloc's "digital agenda" - has spoken outside the remit of his portfolio and in contradiction to Juncker. 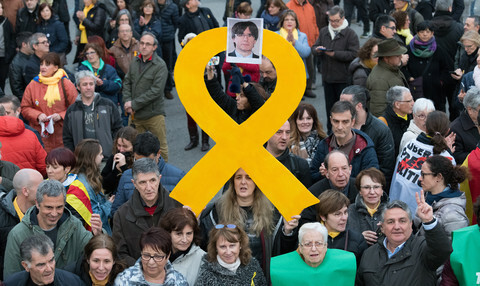 Last year, he caused an uproar when he wrote an op-ed in French and British media calling France a "deficit recidivist" and saying the commission should be tough when judging its reform efforts. But back then, his spokesman said that Oettinger had informed his boss before sending the text. Privately, EU officials familiar with the situation told EUobserver that Juncker's chief of staff, Martin Selmayr, was "enraged" when he read the text, which had already been sent to press. Yet they chose not to publicly distance themselves from Oettinger at the time. In the previous EU commission, where Oettinger held the energy portfolio, he also engaged in similar side-steps. In one interview with the German mass tabloid Bild, in 2011, he suggested EU institutions should fly their flags at half mast for the countries who are in excessive deficit. He later apologised for the comment. Recent statements by the next EU digital commissioner Gunther Oettinger on imposing a special tax on Google has drawn carefully worded criticism from within the current EU commission. German commissioner Oettinger has drawn French anger with two rogue op-eds on French over-spending. But did he really act alone? 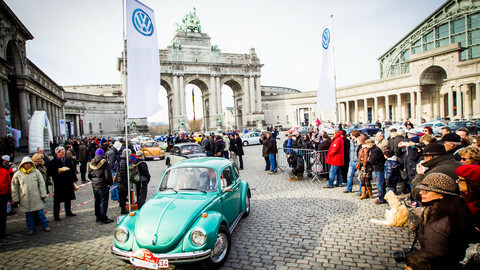 VW spent €2.8m on lobbying in Brussels in 2015. Earlier this year, it met with commissioner Oettinger to discuss "diesel emissions", even though it's not his portfolio. 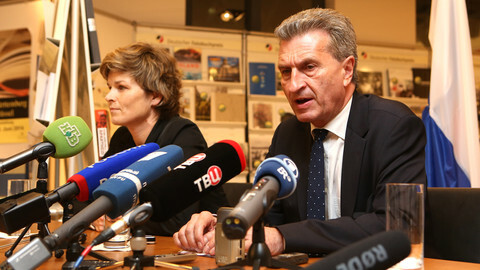 Guenther Oettinger reportedly used a German derogatory term for members of a Chinese delegation visiting Brussels. He said the remarks were taken out of context. EU digital commissioner Andrus Ansip and his fellow commissioner Gunther Oettinger are at odds with one another over the need to abolish the practice of restricting online content based on someone's location. Oettinger's China gaffe caught the headlines, but his and his colleagues' broader disregard for European values pose a bigger threat to EU legitimacy.